Charmeuse, Habutae (or Habotai), and Satin are very similar lightweight fabrics that drape nicely. They are most often used for making apparel and decorations. Charmeuse and satin are both satin weave fabrics with a matte backing. The main difference is that charmeuse is shinier. Habutae is also similar, but it’s a lighter weight plain weave and is known to be the smoothest of the 3. Charmeuse is a lightweight fabric with a satin weave and matte backing. It’s known for it’s drape and lustrous shine, making it ideal for lingerie, coat linings, shirts, handkerchiefs, evening gowns, and pillows. You can find it in classic, printed, and stretch varieties. It may be made from silk or polyester, but in both cases the floating surface threads give it a luxurious sheen. It differs from satin as it is floppier and has a nicer drape. Click here to learn more about Charmeuse fabric. 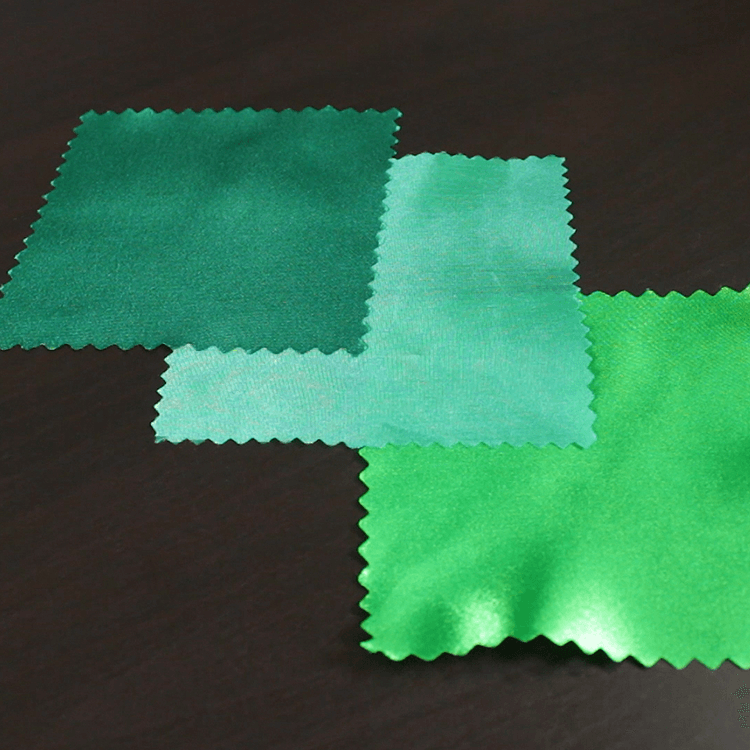 Habutae is a 100% polyester plain weave fabric known for it’s smooth surface. It’s commonly used for linings, dresses, and evening wear. The word “habutae” is Japanese for “soft and downy”, it was originally used for making kimonos. Habutae is a shimmering lightweight material that’s often sheer. Satin (the heaviest of the 3) can be made with silk, but the more popular polyester version is also silky but at a more affordable price. You can use it to make everything from gowns to table cloths to throw pillows look ready for a fancy occasion. Satin is available in a wide variety of styles like bridal, crepe back, flannel back, Jacquard, matte (Peau de Soie), printed, Rosette, and stretch. Click here to learn more about satin fabric. Check out our selection of apparel fabric.